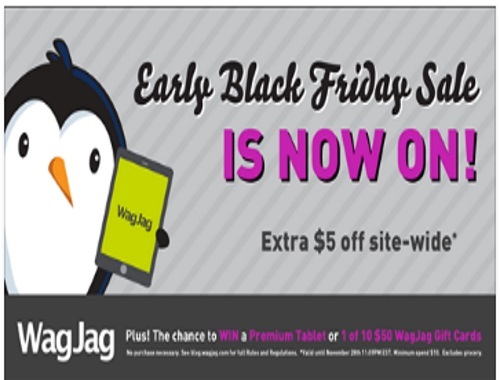 Wagjag has their Early Black Friday Sale on now! Save $5 off sitewide! Enter the promo code TAKE5 at checkout to get the discount. Offer ends November 29, 2016. Minimum spend $10.